At the 2017 WPT Five Diamond World Poker Classic that wrapped up this weekend at the Bellagio in Las Vegas, Ryan Tosoc took the credo “If you ain’t first, you’re last” to heart, winning $1,958,065, a year after finishing runner-up in this same $10,400 buy-in tournament. Embracing the famous phrase from the movie Talladega Nights uttered by Ricky Bobby (played by Will Ferrell) in the film, Tosoc pulled off a feat that few ever will with the back-to-back placements. The takedown pushed Tosoc’s lifetime tournament cashes to just under $3.5 million. The Illinois native entered the six-player final table on Sunday evening second in chips, but well behind Sean Perry, a 21-year-old who was hoping to become the youngest player ever to win this legendary event. Perry used the same dominance he displayed on Saturday during the first few hours at the final table on Sunday. His chip lead was never threatened until he went from more than 9 million chips with four players remaining to out of the tournament in 4th place within mere minutes. His meltdown began when Perry attempted a large river bluff against Tosoc that failed. Two hands later, he called off a massive value bet against Alex Foxen that took half his remaining stack. And moments later, he shoved all-in with A♣9♣ for his remaining 3,395,000 chips. Tosoc, holding A♦J♠, didn’t even pause for a moment to ponder his decision. He snap-called and the board ran out 9♥J♦3♦5♣5♠, sending Perry home with a disappointing 4th place finish. 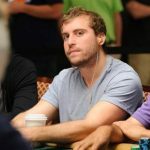 Mike Del Vecchio, the only past WPT winner to finish in the top 18 of a tournament filled with former champions, was then eliminated in the number three spot by Tosoc. What Does the Foxen Say? Del Vecchio’s elimination set up a heads-up battle between last year’s runner-up and Alex Foxen, a New York native with $1 million in lifetime live tournament winnings entering this event. 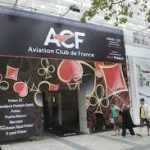 Both players began the match with well over 100 big blinds, but Tosoc had approximately 62 percent of the chips in play. 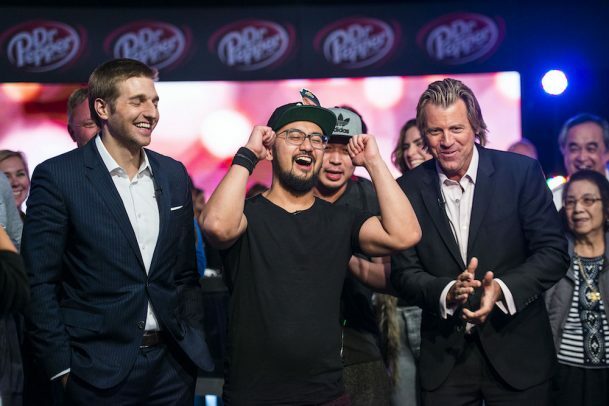 Regardless of the outcome, both were guaranteed a seven-figure payday, but the winner was set to receive an $800,000 pay jump, a bragging rights trophy, and membership in the exclusive WPT Champions Club. Within seven hands, Tosoc’s lead evaporated and turned into a 2-to-1 deficit, after he tank-called a large river bet, only to find out his opponent held the nut flush. Tosoc’s a fighter, so he wasn’t going to lay down and quit. 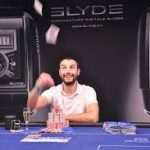 Instead, he regrouped, won a couple of big pots, and before long, regained his own 2-to-1 edge that would continue to grow. On the 49th hand of heads-up play, the Foxen, now facing a 10-to-1 disadvantage, said it’s time to go all-in with A♥10♣ and got called by a much weaker Q♣10♥. But the board ran out 9♥3♦K♦J♥J♣, giving Tosoc a winning straight. The hand finished off the five-day tournament in Las Vegas, the final major poker event of the 2017 season. Respect! These types of poker players proof that poker is a strategic game that can be mastered by studying, experience and determination. I guess that the experience of runner up last year gave Ryan the edge to come back from 1:2 behind to winning the first price this year!